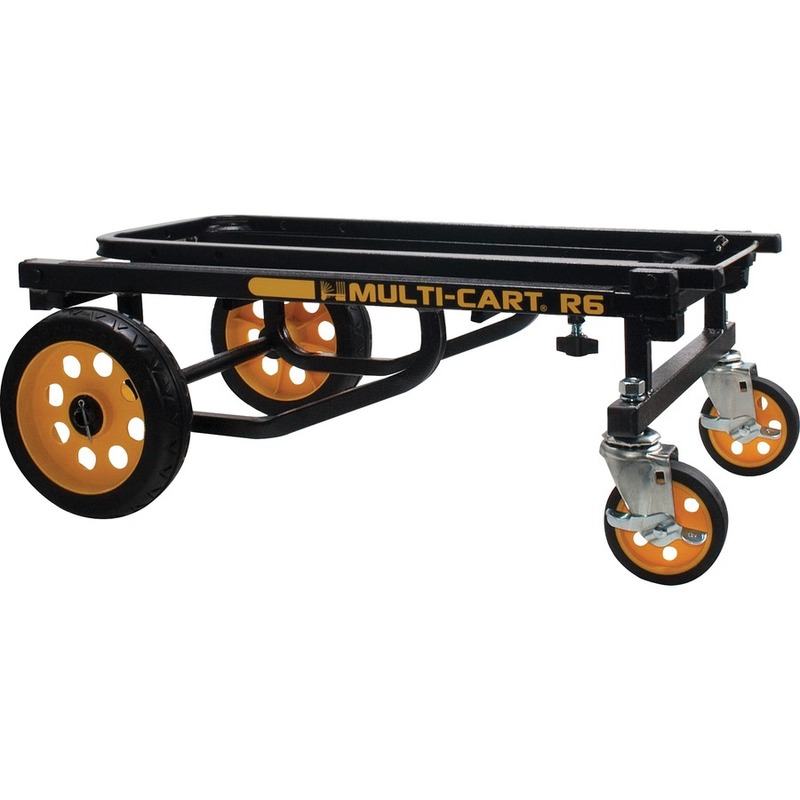 Versatile multiuse cart has the ability to unfold into eight different configurations. 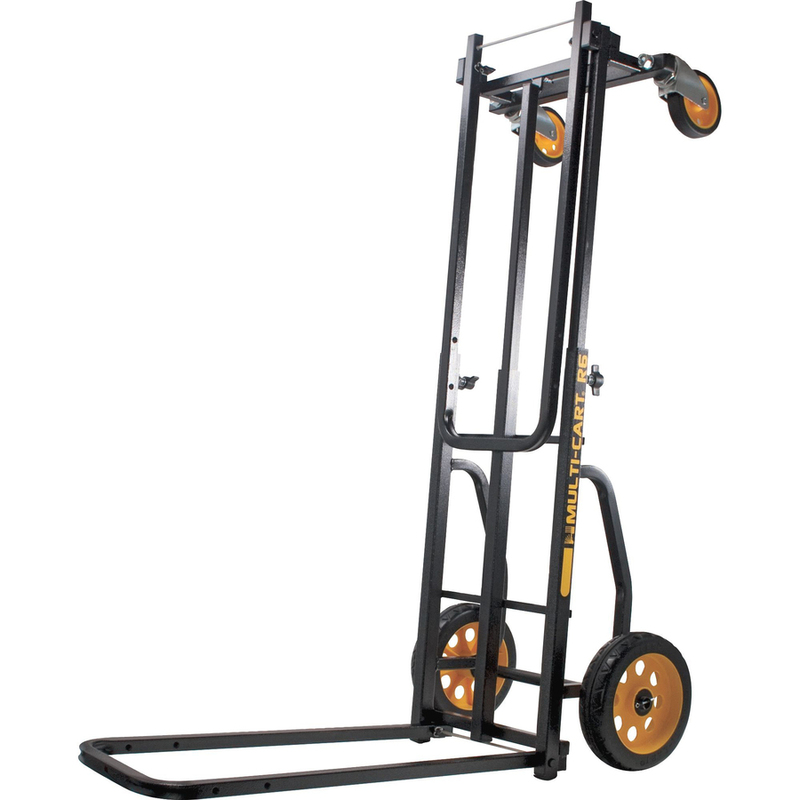 Versatile design reduces time and effort of moving equipment and luggage by 50 percent. Transform it into a short furniture dolly, long furniture dolly, two-wheel hand truck, a storage/transport device, a short platform cart, long platform cart, short hi-stacker or long hi-stacker. Rear wheels are 8"" R-Trac no flat wheels. 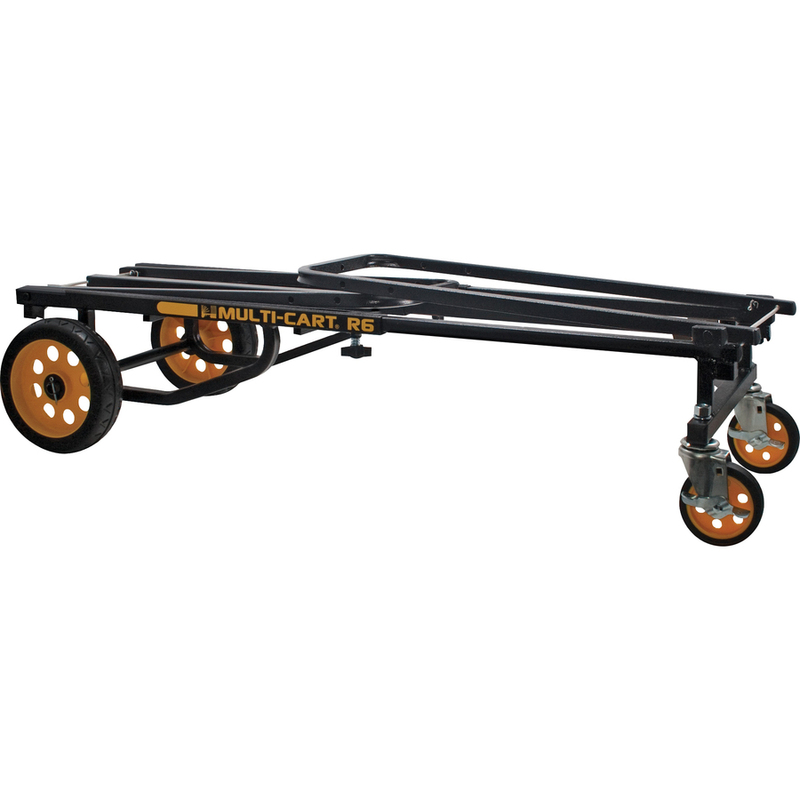 R-Trac wheels provide a cushioned ride and low-rolling resistance. 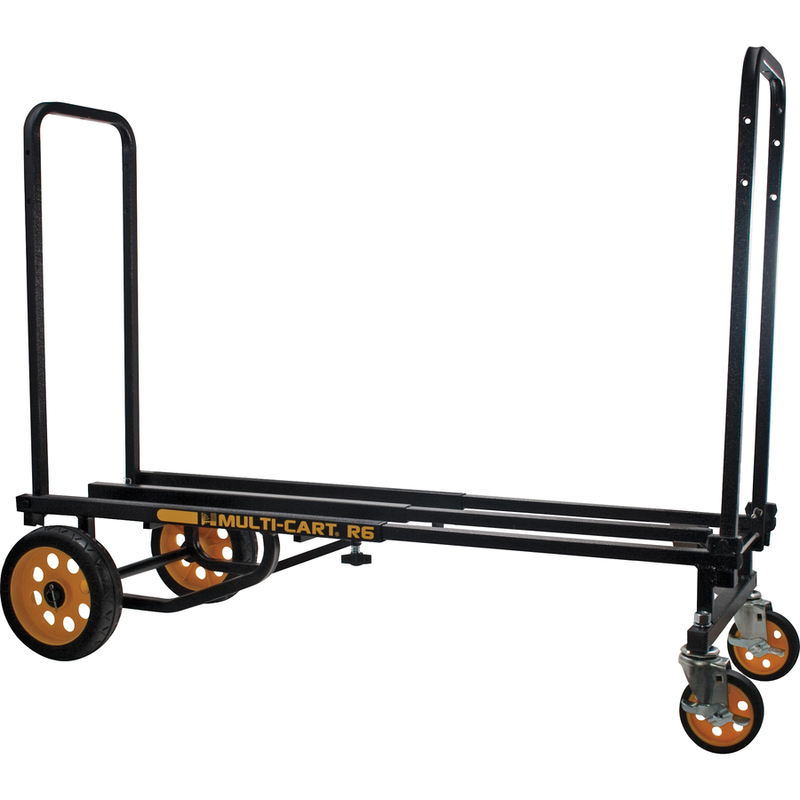 The front wheels are 4"" swivel casters with brake. 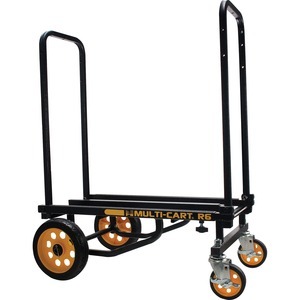 Cart holds 500 lb. and weighs 25 lb.